You're young, internet - savvy and ambitious. You want to do work that matters and make a difference, but you also want to have fun and chill and just - like - act your age. Whether you know exactly where you want to go, or you are still trying to figure it all out, and maybe if you're a bit nervous about 'finding your passion', you have come to the right place. Look, you're free from the daily routine of going to class and writing papers. You want some rest, some adventure, something that will feel like a meaningful use of your time. 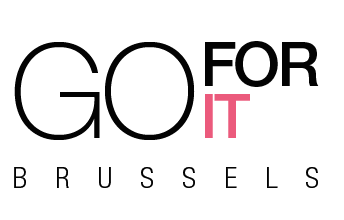 Why not a great internship in Brussels? It's the perfect way to multitask this summer. You'll plump up your resume, gain practical experience in the de-facto capital of the EU, a true cosmopolitan melting pot (read more about why we love Brussels here). At the same time, your weekends will be free to go travel all over Europe. Thank you cheap trains, buses and flights in the EU! The world is your oyster. An immersive, 35-40 hour per week internship in your chosen career field is just what that little anxious voice in your head needs right now. Instead of wondering about your passion (or lack thereof) you'll be hobnobbing with international professionals and doing real work every day. No coffee-bearing for you! We wok our buns off to get to know host offices, what they want and what they need. Then, we tell you - in detail. And bingo, you show up prepared and kill it: win-win. Our academic partner Vesalius College awards academic credit (3 US credits) which you can transfer back to your home school. If you are already pursuing a University degree in the EU, Norway, Iceland or Switzerland, click here to discover your options. Internships in Brussels are available in the fields of policy making, government relations and lobbying, sustainability, health studies, business, marketing, communication and economics, finance and liberal arts. Get in touch early on to give yourself plenty of time to prepare. Just found us last minute? don't worry, we have been known to perform miracles! We'll hold a welcome dinner to get to know everybody and introduce you to Belgian cuisine (spoiler alert: it's not all waffles). We'll meet up regularly after work and follow up with you on your internship, to strategise and advise on ways to make your unpaid internship pay in opportunities and networking. We also offer a program of day trips and activities to get you started exploring Belgium and learning about the diverse cultural heritage of Brussels, Belgium and Europe. Practical Information: find out more about dates and deadlines, fees, scholarship opportunities. We helped Ling find the direction and intercultural communication help she needed in order to truly shine.